Teaching history to young people can be a daunting task. Often history is taught through boring lectures and lengthy text. Using only these medium to convey information would put anyone to sleep. But when history can be seen and heard, it brings it to life. The Civil Rights Movement in America occurred during the time when audio and visual technologies were becoming more sophisticated and accessible. People and events during this time were able to be recorded. Also during this time television was becoming accessible and a part of the American household. The Civil Rights Movement made the news nationally and well as internationally. The world was watching. The use of primary sources in the teaching of Dr. Martin Luther King Jr. and the Civil Rights Movement gives the learner an opportunity to be present in the past which allows them to construct their own meaning and knowledge. As educators, this is the best learning we can ever give our students. Here are some links to resources that you can use to learn and teach about Dr. Martin Luther King Jr. and the Civil Rights Movement. If you have others, please share. Click on the image to view resource. The New York Times, provides historical front pages, news articles and multimedia resources from their collection. The Learning Network provides lesson plans and other materials in the learning and teaching of Dr. Martin Luther King Jr.
NBC Learn brings the Civil Rights era to life with over one hundred archival clips and original town hall conversations from around the country. The Library of Congress provides teaching resources in a collection titled, Looking Behind the March on Washington: Dr. Martin Luther King, Jr., the Civil Rights Movement, and Labor in Primary Sources. 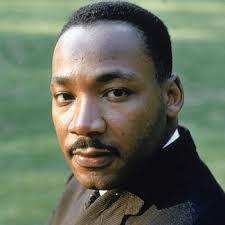 The Leadership Conference provides online resources on Dr. King, his life, and his legacy. PBS uses archival news footage, primary sources, and interview segments filmed for Eyes on the Prize, in this collection to capture the voices,images, and events of the Civil Rights movement and the ongoing struggle for racial equality in America. Anne Braden – A civil-rights fixture in Louisville for more than five decades, Anne Braden fought tirelessly for desegregated schools, open housing, equal policing, gay rights and racial tolerance. Flobots, an alternative rock and rap band, recorded the song “Anne Braden” in her honor in 2007.